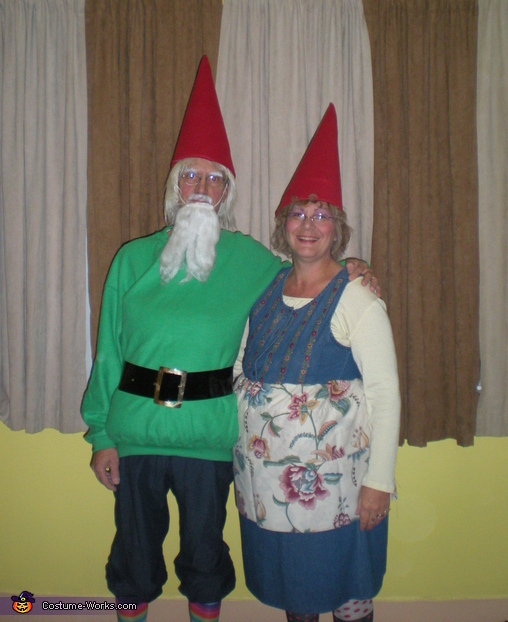 I collect gnomes so thought this was a perfect costume. We went to the thrift store for sweatpants and sweatshirt for my husband and a jumper for myself. We made the hats out of card board and felt and the wig and beard was from a santa suit. Crazy knee-hi socks and pillows for padding complete the costumes.